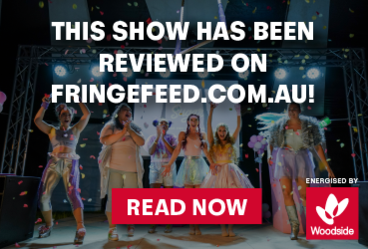 Winner of Best Circus & Physical Theatre at the 2018 Adelaide Fringe Weeklies, with sold out shows and rave reviews across the board, Rouge is coming to Perth! A decadent blend of sensational acrobatics, operatic cabaret and tongue in cheek burlesque, Rouge is 'circus for grown ups'. Highwire has been creating and touring shows since 2006, including 2014 FRINGE WORLD smash hit Papillon. Other shows include Shake It, Dinosaur Time Machine, Le Petit Circus and Pop Party Throwdown.